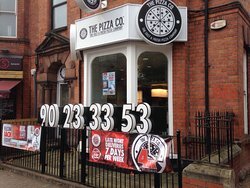 04/02/2019: I have visited here on a number of occasions and have had 5* service and food every time. I would not hesitate to return! 25/01/2019: Very hard to find. The sign is below ground level and cannot be seen from the road so you will have to stand on the roof of the car as you drive past in order to find it!! 08/03/2019: We go here often as it is really family friendly and the food is always good. Staff are always helpful and friendly. Best place to eat with kids in Bangor by a mile! 04/03/2019: Stopped by for lunch and had the special of the day pizza (pesto, cherry tomatoes and mozzarella). 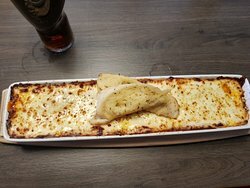 23/01/2019: Went to Pizza Hut in Lisburn Leisureplex yesterday evening to celebrate a birthday with friends and was so incredibly disappointed. This was my first time in this particular Pizza Hut, but I feel like it fell well below the mark of good service. 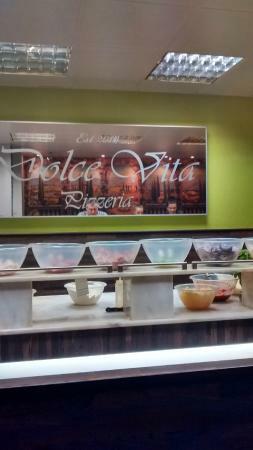 03/01/2019: Been in for the buffet lots of days today went today after two o clock, v little left, hardly refreshed with loads of people dining at one point three slices with a queue of five people. No pasta left, no garlic bread left, they finally refreshed the Bolognese pasta but said they'd run out of cheese one...no good to me I'm a vegetarian. 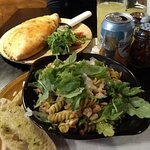 Hardly any salad choice either. Very poor. Waitress was pleasant not her fault. 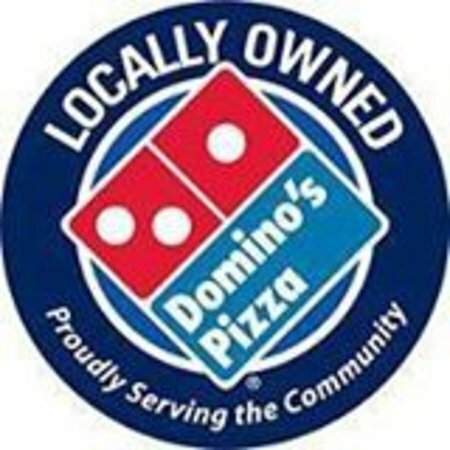 22/10/2017: Take out pizza that's nice and cheaper than dominoes! 22/10/2017: Never disappoints. Food is always lovely and fresh. 06/06/2018: Ordered 9 chicken nuggets which I got within 10 minutes, then ordered a 10 inch pizza which would not be expected to take longer than 10 minutes. The woman realised after I had asked for a refund that she didn’t place my order through. The shop was also empty. Won’t ever be back. 07/04/2018: any time we visit Newcastle we always get a Pizza here to take home. Restaurant not really designed to eat-in but there are tables & chairs there if you wish. 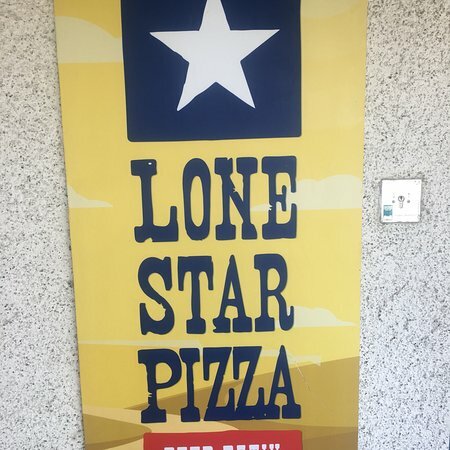 Great Pizza and very quick.. but I guess that depends on the time you go there. Definitely recommend. They also do deliveries. 07/03/2019: Ordered online for collection to pick up in two hours time. When I arrived the order was not ready, they had not even started it. 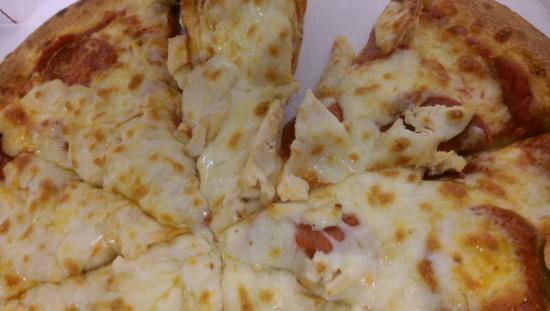 The toppings were non-existent on the pizza; the cheese was poor quality; and the dough was not great. 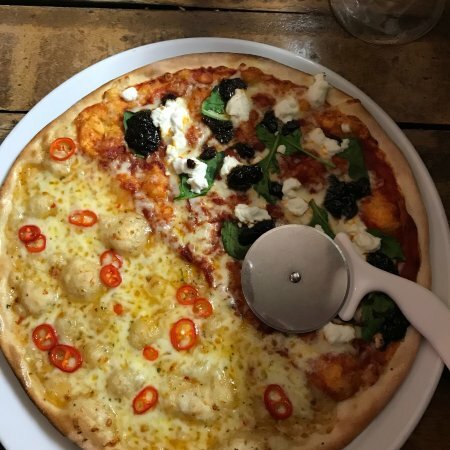 24/02/2019: Could a veg pizza toppings poor in quantity counted the mushroom slices across a large pizza 10 ! Taste!! Tasteless. I haven't had pizza in a long time. Won't be back to The Pizza Company. 27/01/2019: Ordered three pizzas and one arrived completely burnt. Other two pizzas were fine. Called the restaurant to inform them and they sent out a delivery driver with a new pizza. However, when the driver arrived with a fresh pizza, he refused to give us the new pizza because a slice and a half of pizza had been eaten (my mum tried eating the pizza but had to stop due to it being burnt). 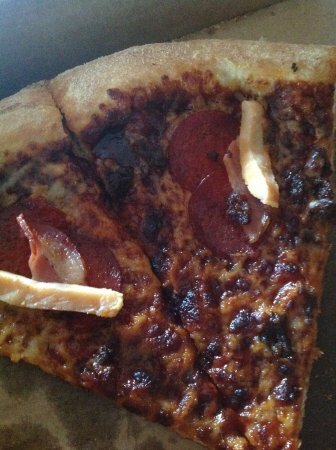 When we called back the lady on the phone was very rude and said the pizza wasn't burnt, which it was. We will never be back. Terrible customer service. 28/10/2018: DO NOT ORDER FROM HERE!!!! ordered a kebab on chips it was cold. No sauce. Reheated chips for sure! And the meat was so overcooked. Worst kebab ive ever had. Won't ever order from here again. 31/03/2019: I stopped to order a party deal for my daughter and her friends. I waited at the counter for a long time while the staff tidied around their working area. I didn’t mind at first, though realised there were no orders on the screen, I was the only customer in the shop at the time, so I waited & waited & waited until the phone rand and the male employee picked it and took the customers order, totally ignored my presence and started preparing their order. 25/01/2019: Very fast service. Always offers. Great delivery service. 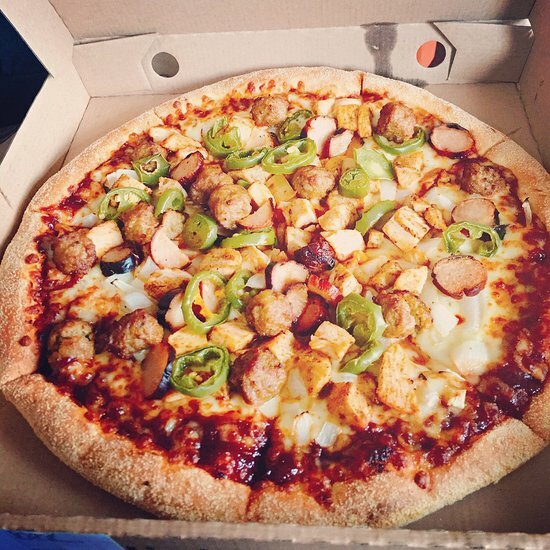 The large pizza is LARGE - too much for one person. 19/05/2018: Went for a day trip to galway for my birthday and stopped in Dough Bros for dinner (the flower arch got me got so cute). Wasnt sure what to expect, but this place blew me away! The staff were so nice and the food was just incredible! I was stuffed from me pizza but i still wanted mpre it tasted so good! 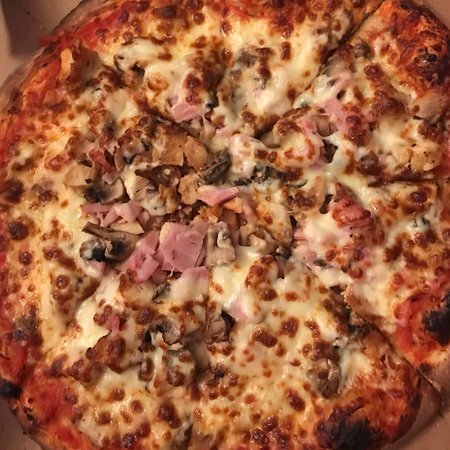 We're already planning our return trip to galway just for the pizza! Such a great resturant! 09/04/2017: Después de una noche de socializar con amigos, nos detuvimos en la masa para tener una comida para llevar Bros hasta tarde en la noche. 11/08/2018: Our family visited this afternoon around 4.30pm and had some pizza. Service was quite slow, but staff were very friendly and helpful. We were seated quickly and order taken promptly. We enjoy Pizza Hut, but were disappointed to see so few people in the restaurant, hopefully not another food gain looking at closure in the near future. 13/10/2016: I have been living out in spain for 9 years and we went to pizza hut tonight, we were so disappointed with the service and food. when we arrived we were greeted by a young girl and sat down . We ordered and had to wait 20 mins for food which seems normal. As I work in a restaurant myself I know there is a wait. 28/05/2018: We used to eat out of Paramount Pizza until we tried here. 06/01/2018: We got a takeaway for my daughters birthday. Pizzas were good and reasonably priced. Kebab meat was nice- Mann bread wasn’t my cup of tea- lots of herbs. The thing that really brought down the rating was the desert included with the meal deal... online you see a picture of a chocolate brownie... in reality you get a Cadbury mini roll. That’s the only choice. 03/04/2019: Service was quick and helpful. Shop was tidy and as soon as the food was ready was brought straight out. 19/03/2019: Good branch. Well run and reliable. Great Pizza. Can be quite expensive but has regular deals available. 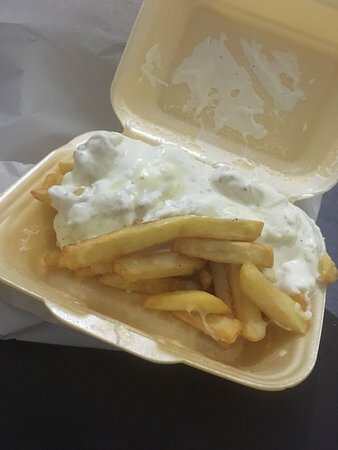 11/12/2018: Food came fairly quickly, kebab looked nice and partner said his was lovely. I ordered a cheesy chip with garlic, next to no cheese and garlic sauce tasted sour. Ordered a fruit juice and drink was forgotten also. Delivery driver was lovely.